Why would I need self storage in Lake Forest, CA? There are a variety of reasons why you might need self-storage in Lake Forest, CA. How much is a storage unit in Lake Forest, CA? The cheapest storage unit in Lake Forest, CA is $35.00 per month. What size storage units do you have available in Lake Forest, CA? In Lake Forest, CA we have sizes that range from 5'x5' to 10'x30' to suit your storage needs. How much is it for a 5'x5' storage unit in Lake Forest, CA? The cheapest 5'x5' storage unit in Lake Forest, CA is $42.00 per month. Lake Forest is a medium-sized city in Orange County, California, located near the cities of Irvine and Mission Viejo. The city was named for its two large man-made lakes and extensive groves of eucalyptus trees, planted in the early 1900s. Lake Forest was incorporated in the early 1990s and has been steadily growing since then. Like most of Orange County, the Lake Forest area first started out as citrus groves and agricultural land. The city was originally known as El Toro, named after the El Toro stagecoach of the 1800s, which had a stop between San Diego and Los Angeles. After World War II, the government built the El Toro Marine base in the area. Eventually, the acres of agricultural land gave way to the development of the city's residential, industrial and commercial sectors. Although development slowed for some time, recent revitalization efforts have brought about the growth of several new businesses and shopping centers, including the Arbor at Lake Forest. If you're planning to move to Lake Forest, you'll be glad to hear that there's plenty to do right in your own neighborhood. The city is home to one of the largest sports parks in the county, Lake Forest Sports Park. Here, there are over 85 acres of sports fields and as well as a large recreation center. The nearby Whiting Park offers plenty of trails to experience the sunny California weather, and it is home to many native species of the area. 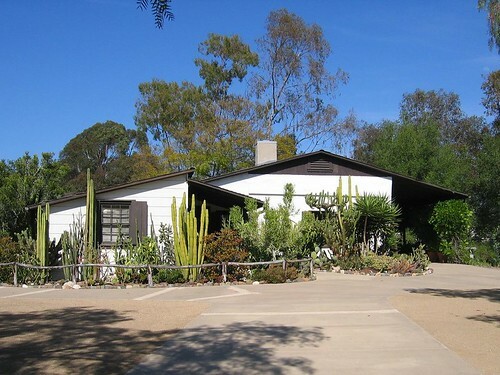 Lake Forest is the site of Heritage Hill Historical Park, the first historical park created in Orange County. The 4.1-acre park includes four completely restored and fully furnished historic buildings that span the early history of the area. One such building, Serrano Adobe, dates back to 1863 and is the oldest structure in the area. If you're planning to look for a job in Lake Forest, a few of its most common industries are manufacturing; professional, scientific and technical services; hospitality and food services. Additionally, you'll find a number of management, sales and repair jobs in the area. Lake Forest's largest employers include Oakley, Panasonic Avionics Corp., Loan Depot and Invensys. Saddleback Valley Unified School District manages the public schools in Lake Forest. You also have the option of private schooling, with both faith-based and secular campuses in the area. Utilities: Southern California Edison and Southern California Gas are the city's central energy providers. The majority of the city's residential water services are provided by Irvine Ranch Water District, but there are a few other districts that serve outlying areas. Garbage and Recycling: You can expect regular curbside collection of trash and recyclables. As a Lake Forest resident, you're also entitled to two bulky item pick-ups per year. Transportation: Metrolink and the Orange County Transportation Authority facilitate public transportation in Lake Forest, offering both bus and light rail routes. The median home price in Lake Forest is considerably higher than the state and national averages and is expected to continue rising. The city offers a large number of rental options as well, which may be more budget-friendly. Our lowest priced units in Lake Forest, CA average $38.50 per month. 116 people have reserved units in Lake Forest, CA in the past 30 days. There are 2 locations within Lake Forest, CA's city limits. There is 1 location in Lake Forest, CA that offers AC and Heating features.